I saw some signs of spring this afternoon! 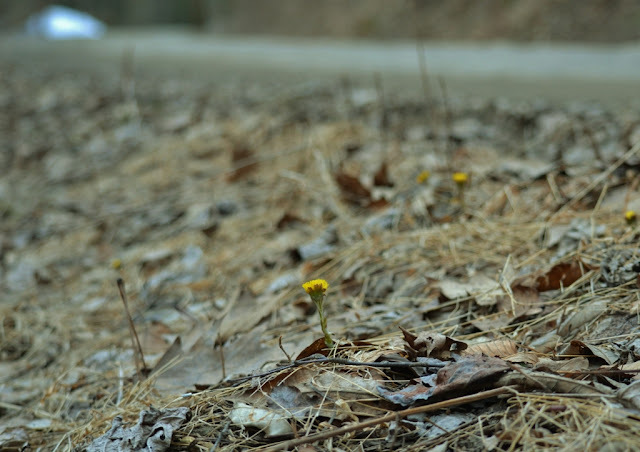 Coltsfoot was blooming by the side of the road. Take note of the snow in the background (upper left) of this next picture. There is still plenty of snow in the woods and on the mountainsides but here on this south facing side of the road it looks more like spring. 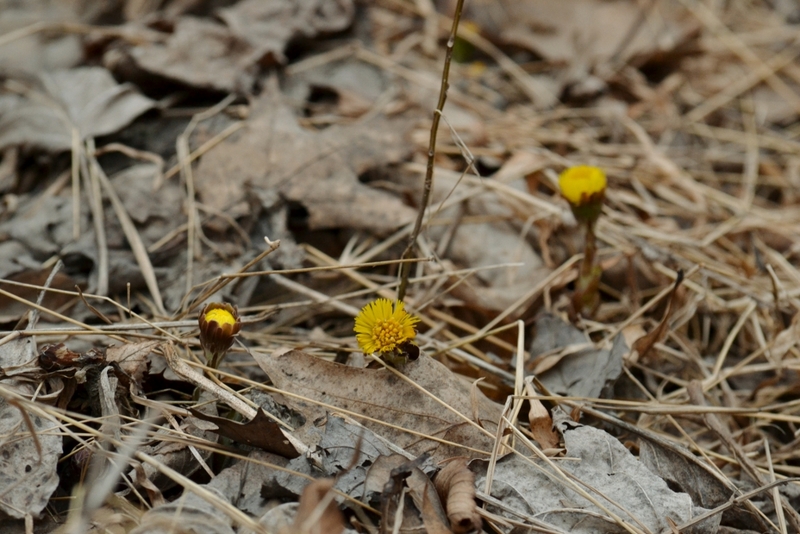 I saw a few other spring flowers today such as Bittercress and Skunk Cabbage, but the cheeriest flowers were definitely the Coltsfoot. 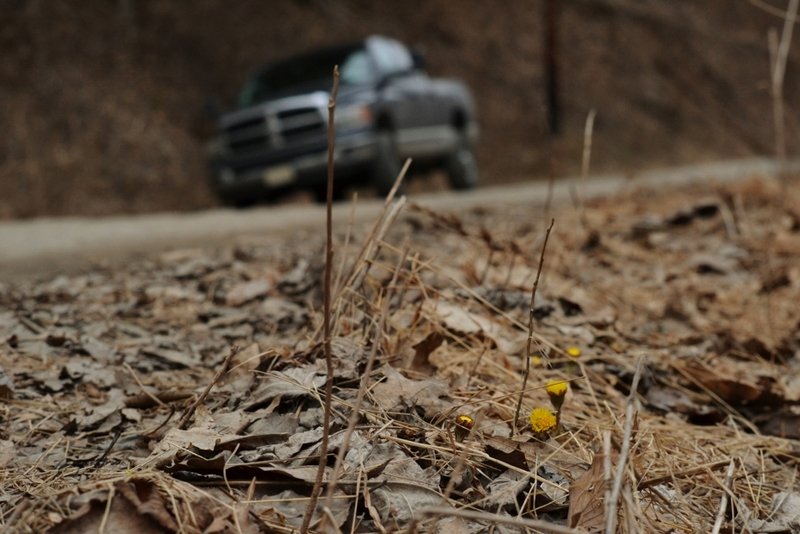 I guess Coltsfoot takes seriously the coming of the first day of spring. See another post about Coltsfoot. Our Coltsfoot isn't even out yet. Soooo very tired of winter Dana.